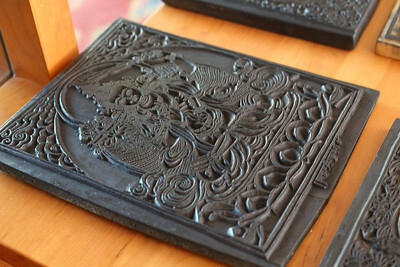 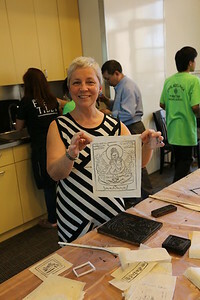 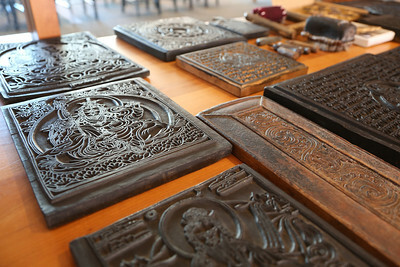 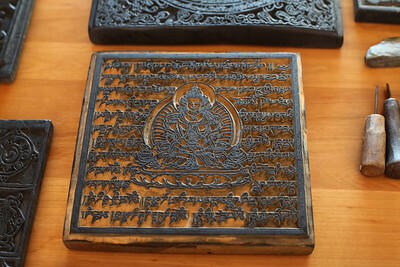 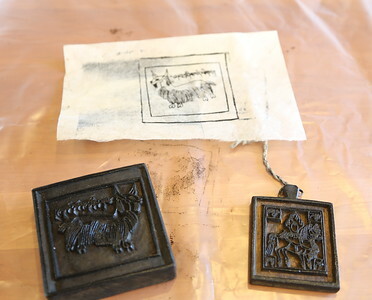 Woodblock Printing Workshop with the Philadelphia Tibetan Association. 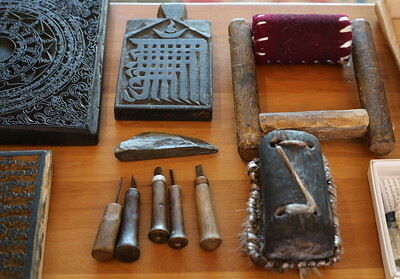 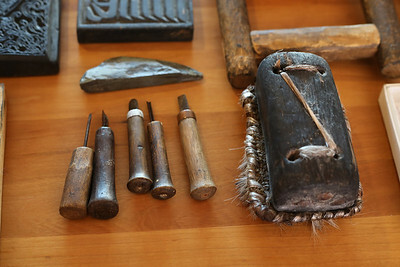 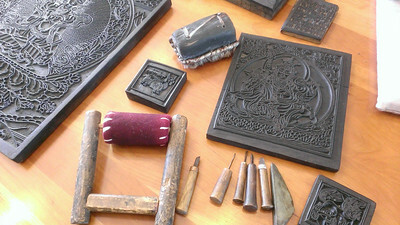 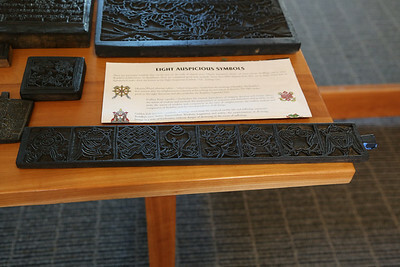 A variety of tools used in preparing, carving, and printing woodblocks. 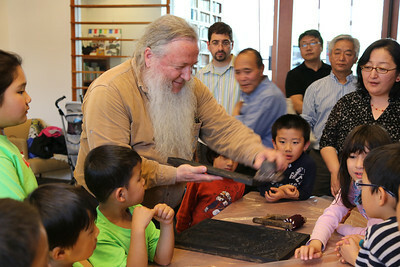 Jim Canary shows samples of the bark of the ?? 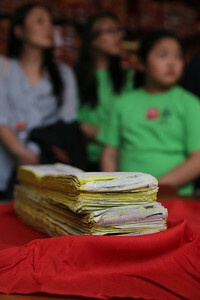 tree, the fibers of which are used for paper-making. 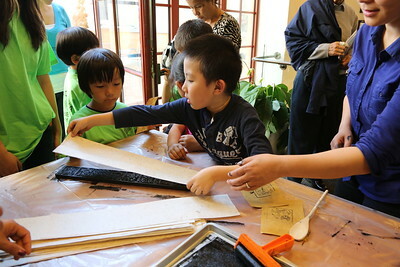 Examining a piece of bark from the ?? 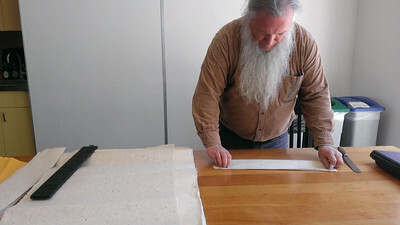 tree, used in paper-making. 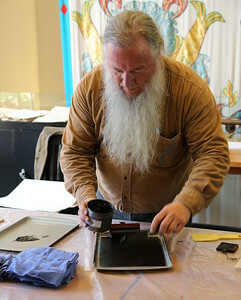 Jim Canary prepares the ink for woodblock printing. 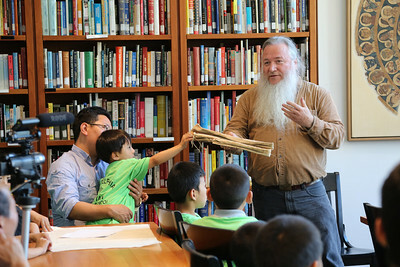 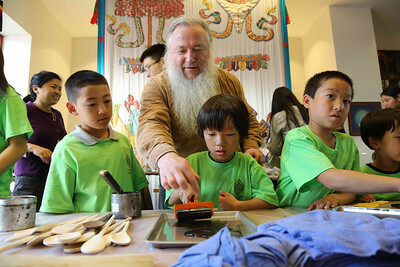 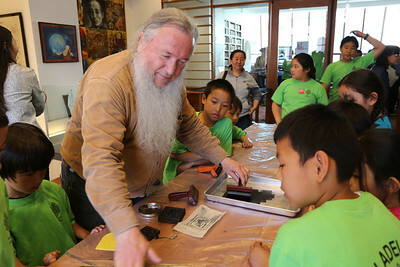 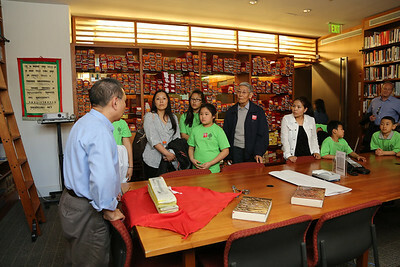 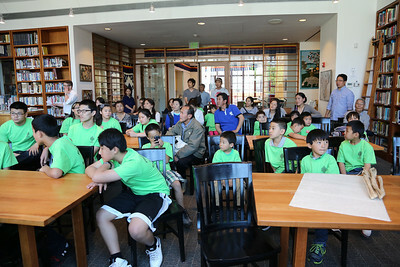 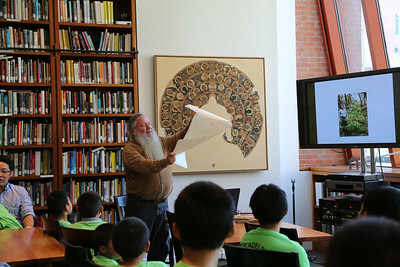 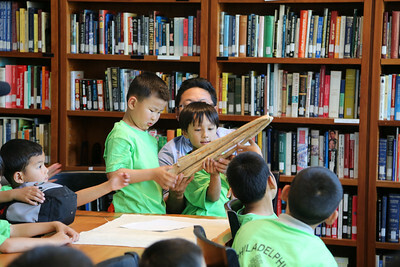 Jim Canary instructs children of the Philadelphia Tibetan Association on how to make woodblock prints. 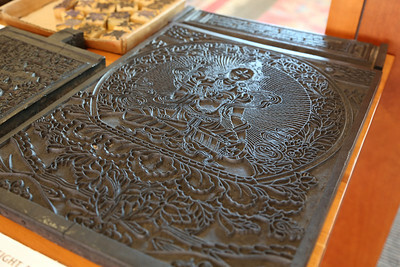 Spreading ink evenly on rollers used to ink the woodblocks. 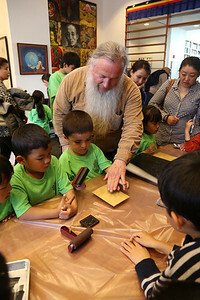 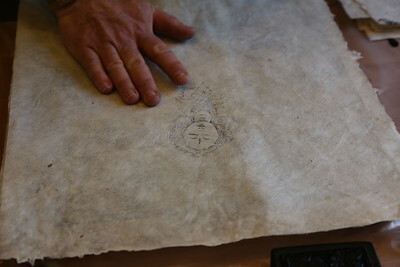 Jim Canary demonstrates the stages of printing from a woodblock. 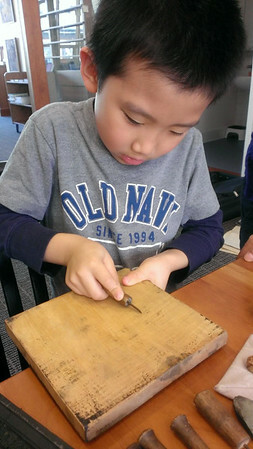 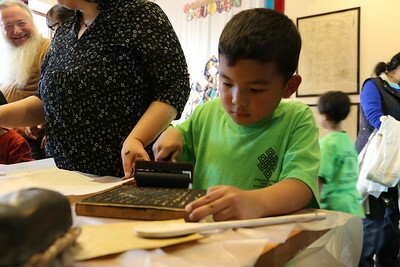 A young workshop participant tries his hand at woodblock carving. 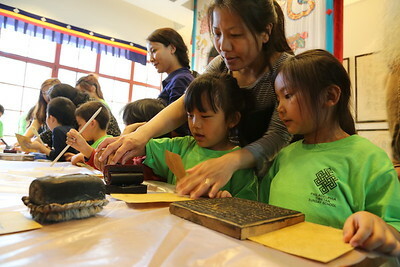 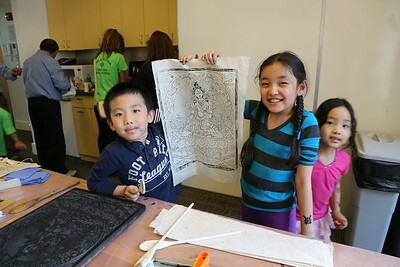 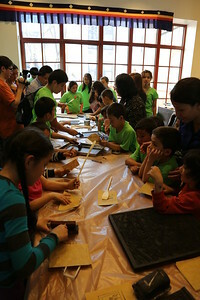 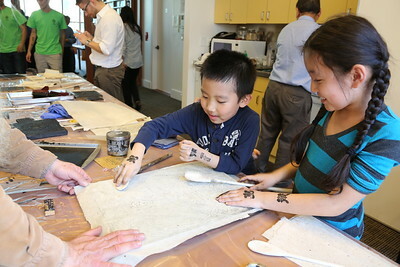 Children from the Philadelphia Tibetan Association making woodblock prints. 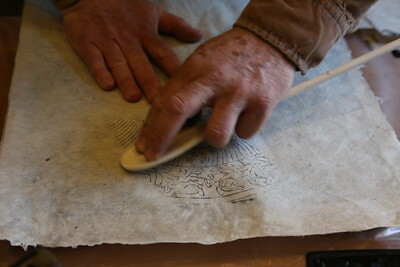 Inking the woodblock for printing. 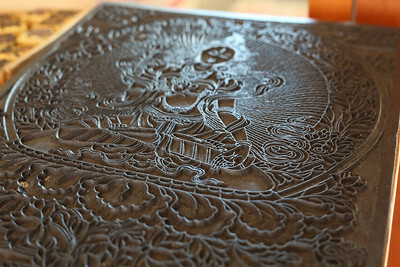 A print of the Eight Auspicious Symbols.